Dr. David Perlmutter, MD, FACN, ABIHM is a Board-Certified Neurologist and Fellow of the American College of Nutrition. He is the author of many books including the New York Times Bestsellers, Grain Brain, The Surprising Truth about Wheat, Carbs and Sugar – Your Brain’s Silent Killer and Brain Maker, The Power of Gut Microbes to Heal and Protect Your Brain – for Life. Today, Food Integrity Now, spoke with Dr. Perlmutter (interview here), about his cutting-edge work in the area of gut and brain health. Dr. Perlmutter explained how gluten sensitivity represents one of the greatest and most underestimated health risk to humanity and how a heavy wheat-based diet affects the gut and the brain. He further talked about how fat, not carbohydrates, is the preferred fuel of human metabolism. He explained how the low-fat guidelines which gave way to a low-fat diet of the 90’s were not based on scientific evidence and how these diets in essence, starved the brain. He shared how curcumin (turmeric) works in the body and how it can feed the brain and increase BDNF, which essentially means it can help grow new brain cells. 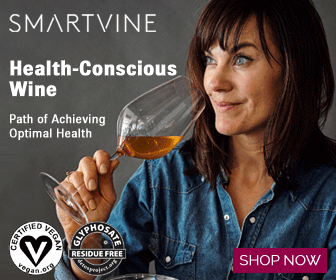 Dr. Perlmutter is a huge fan of consuming real extra virgin olive oil, as studies have shown can decrease your risk of getting Alzheimer’s and even breast cancer. He warned of the fraud that is all to common in the olive oil industry and suggested that it would be beneficial to check in with the leading expert in this area, Tom Mueller, author of Extra Virginity, The Sublime and Scandalous Work of Olive Oil. Food Integrity Now interviewed Tom Mueller and you can learn more about olive oil fraud and how you can find true extra virgin olive oil in your area here. We talked about GMOs and glyphosate and their role in creating dysbiosis in the gut and how glyphosate works in the microbiome to destroy good gut bacteria which is essential for creating a healthy gut and immune system. He also expanded on how the World Health Organization declared in 2015 that glyphosate was a probable human carcinogen. He talked about the importance of being informed about GMOs and glyphosate and recommended that our listeners go to The Institute for Responsible Technology website and learn more about what Jeffrey Smith (the leading experts in the world on GMOs and glyphosate) has to share about this important topic. Dr. Perlmutter offered information on the top causes of leaky gut and shared information on how to repair the gut, including his five top picks of healthy bacteria strains that you should look for in chosing a probiotic. You won’t want to miss the information he offered regarding vaginal births and Cesarian births and how the immune system of the child is affected during childbirth. Dr. Perlmutter shared such great information that could affect your health and the quality of your life. Listen to the full interview below by clicking on the link at the bottom of the page. I guarantee that you will learn something new and important to you and your family! Be well! One of the ways to fight inflammation is with turmeric. We only recommend the very best products. This turmeric supplement is organic, non-GMO, glyphosate-residue free and free of heavy metals! Check it out here.